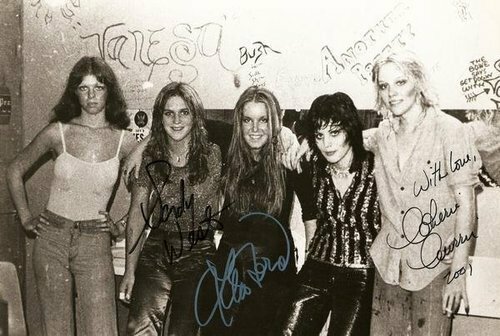 Runaways Autographs. . Wallpaper and background images in the Les Runaways club tagged: the runaways image joan jett sandy west lita ford cherie currie jackie fox tumblr autographs. This Les Runaways photo might contain rue, scène de ville, milieu urbain, ville, scène, urbain, cadre, mise en scène de rue, signe, affiche, texte, tableau noir, tableau, affiches, hip boot, and thigh boot.